What Happened to Internet Marketing Center? This is a Historical Perspective of a once-thriving Company which is now defunct. At the time, and for over a decade from its inception, the Internet Marketing Center was the place to go for serious learning about how to market on the Internet. Historically, this company started during the pioneering days of the World Wide Web, and was known and trusted by aspiring online business entrepreneurs everywhere. It’s earliest appearance on the WWW was in 1996, the same year the WWW was born. PRO #1 This company was clean, honest and offered the kind of service never seen anywhere else in its time. PRO #3 This company turned out many wildly successful Internet businesses that are with us today! CON #1 Over time bad decisions led to the demise of the original company. CON #2 The company thought it was invincible. Time indicated otherwise. CON #3 Sadly, this company did not keep up with the trends and soon after Web 2.0, it began to fall. Who Was Internet Marketing Center (IMC) For? The IMC was for anyone seeking to discover how to build a business on the Internet, working at home. Not long after I found the concept of Internet marketing in 2004, the company was already full-blown and I would invariably find it. At the time I discovered it, the main product, Insider Secrets to Marketing Your Business on the Internet was a two-folder, two CD Rom Course. More on this below. This was essentially one of two very high products that were available to opportunity-seekers wanting to learn how to create and run a home-based Internet business. The other is the famous Site Build-It, which is still running strong today. The main Course featured by this company, as stated above, was the Insider Secrets to Marketing Your Business on the Internet. Over the years, this blueprint began from a report-sized course to the last physical set that I had obtained before it went digital. This blueprint showed IMC’s students exactly how the company realized its own success, which raked in millions of dollars during its heyday. In 2005, the owner and CEO of the company was killed in an automobile accident, an event which shocked the online world then. Derek Gehl would be next in line and would make solid changes to the product line-up including the expansion of the products as well as the addition of new ones. The site, as it was before Gehl’s reign is shown below. Gehl’s IMC had more color, better support systems and better product line. In 2009 I purchased the 2008 Edition at a discount in order to get the 2009 Edition. The set was not completed at the time I ordered it and was on a waiting list. When it did come out, I was dismayed that this was completely digital. There were bad vibs that this company was starting to have difficulties. The Program did not have any forums or any other member interaction. Albeit, customers could call technical, sales and billing support systems by telephone. During Derek Gehl’s reign, the company also supported a mentorship team which helped its students build their businesses. There were other ways to contact customer support, including help desks and one-on-one chat systems. For a decade, this company held the number one spot for being the best training program out there, I aspired greatly to get this course. (More on this below.) There is no doubt that all those who took Corey Rudl’s place in this empire did try to keep in standing with the founder’s wishes. Albeit, over time, this company began to fall by the wayside as later CEOs simply did not share in Rudl’s tenure. Just today I went on to find this company to discover that it no longer exists and this is a great lesson for us today that, no matter how large an empire is, it can fall, and invariably does. Thus, rather than a review, this historical perspective on a once-great and thriving company now gone bust. For the time it existed, this company was highly renowned, and for sure, I longed to get the Insiders Secret to Marketing Your Business on the Internet Course. In 2009, just before becoming a member of Wealthy Affiliate, I indeed was finally able to get it as it was being offered at a discount. To my dismay, the latest edition of the Course at that time turned out to be totally digital and all buyers were required to print this material up. I never finished copying all the materials and today these are no longer available, so the complete Course I have in my possession is the now-dated 2008 physical edition. The Course does provide some basic marketing lessons that are timely even to current times, such as proper marketing etiquette, etc. I went extensively into this Course but during this time I had found Wealthy Affiliate which, even at that time, in 2009, rivaled the IMC. The Course went on the shelf and I became a member at WA, which, in my opinion, picked up where IMC left off and today is the top online business community of our day! Please check out my review for Wealthy Affiliate to see why this company now out-does all the rest currently online! If the Internet Marketing Center was still in existence, this would be my second-to-the-top pick! VERDICT: LEGIT This company was, in every way perfectly legit and was trusted by many aspiring entrepreneurs, now with empires of their own! I think the fact they didn’t have a proper community with interaction from its members is the main reason the company folded. That’s were WA is so great, the thriving community means you can get answers to almost any question fairly quickly. You can always bounce ideas off other members before going full tilt into a campaign. A great sounding board! Great review. I was still playing electrician/project manager in those days. I’m glad WA has come along to replace it. Too bad if that was a good program it doesn’t exist anymore. People need these type of programs as there are now so many scams out there. Thanks for this review Daniel. I have the insider’s secrets course in my possession, I bought a long time ago, I read it through, but back then I had a nine to five and other obligations, so I never started the web-based business I wanted to for lack of ideas and no knowledge on how to build a website. Now I am just restarting slowly but slowly to build a web-based business. Corey Rudl was an authentic giant, literally. I first started by subscribing to their newsletter, but I never took them seriously until I got scam by a Texan web-based company called Awesome Technology; these crooks promised their clients if they became affiliates, they would make a lot of money with their revolutionary marketing concept, so I went ahead and bought an affiliation licence for $3000, this was the worst mistake of my life. 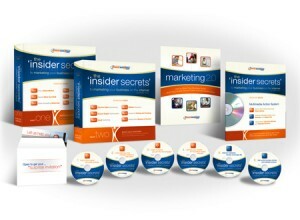 When I really figured out that things were not working for me, I wasn’t selling any products, I decided to order the insider’s secrets course, it is only then I discovered that those people from the awesome technologies company didn’t know the first thing about internet marketing, they were a bunch of thieves and con artists. I never regretted that I bout this course. Hey Peggy, I apologize for the delayed response to both you and Lorena. I had to momentarily close my business for various reasons and have resolved the issues that were at hand. I am now back at it with renewed vigour. 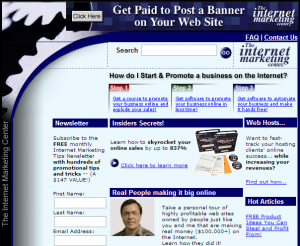 For its time, IMC was one of the best platforms out there, though at the time as well, Wealthy Affiliate was quickly gaining traction in the industry. One of my goals for this website at this time is to develop a Guide, right here and for free, that aims to help readers recognize scams when they come across them. In most cases, affiliate programs are offered freely and of those that are not, like the one you have mentioned, are outright scams. I will very likely look into the program you have brought up here and I am indeed sorry for you that you got taken to the cleaners by one of these scum operations. I have several reviews on this website that shows these insidious operations in action. It is my guess at this point, that many, if not all of them are now history, as this is what normally happens to them. If any of them still exist, they are to be regarded as un-detonated landmines awaiting for the unwary to step on them. I have gotten stung myself, but not to the extent you have, and you have not been stung to the extent that others have. This stuff is serious and can bring untold disaster to innocent lives. I have learnt my lesson early on and was thus, spared any further damages. I probably lost $50 to a bogus e-course that had completely dated information in it that impressed me when I read about it. At the time, I had no idea what I was doing nor had I the knowledge of what was good and what was bad. I did know there were lots of contradiction amongst the various programs then circulating. It has gotten severely worse overtime and of all nations, the United States is the most targeted. There’s just too much Hollywood-influences here and this has effectively put many people in the influx of the real and imaginary, of which there are few distinctions. This is not a bash on the United States, but many people simply have been dumbed-down by television and other media over the years. I myself stay away from television except for very rare occasions and then, pretty much stay away from Hollywood. This is no reflection on you nor your discretion, but one of the windfalls of such a consumer-based society as the US, comes this dumbing down that has occurred. I also note that there are some people who are wising up to some of these ploys, especially amongst those who seek the truth and dig into the material. Advertising is an extremely powerful venue and very few can resist it. Unfortunately there is a science about it that employs logical fallacies, many of which prey upon human nature, so most people do not even stand a chance. This is good reason why I intend also to build out a special course on this website on the topic of argumentation, or critical thinking, as it is better known. This deals with logic and discusses the various popular inane use of such fallacies that often results in great gain and systematic robbery, the likes of which you have unfortunately experienced. Because you pursued this Awesome Technology scam have not, in any way, made you out to be dumb. It comes back to advertising, and it was this that pulled you in, because, even though it is malicious, it has been dressed up to look authentic. It only reveals one thing – this seemingly harmless barrage of messages are indeed extremely destructive and have ruined many lives way beyond your imagination. I will be building out new courses and guides on these topics this year. It is badly needed and folks need to be encouraged to arm themselves with it. Going forward for those who will put in the effort, the normal adverts one sees in media, like television and in magazines, will never be seen the say way again. Sadly, the empire Corey Rudl built was taken over by ruthless replacements and this was the demise of a once-great opportunity. Oddly enough I was looking to see what became of IMC when I found this post in Google. Corey was my inspiration in the early days of internet marketing. I followed his Marketing Tips newsletter for some time before investing in the full package in early 2001. This course transformed my business and my life. Within weeks my fledgling telecom business was dominating Google for all my product keywords and we could barely keep up with the growth in business in the first half of the decade. As a result of what I learned, practiced and improved on I built an entirely new and separate business training other businesses throughout my region of UK to do what I had done, with much of my business coming via the regional Chamber of Commerce. I never hesitated to recommend Corey’s course during that time. I’m now retired but Corey and IMC made the last 10 years of my business career the most successful ever. On retirement I became President of my Local Chamber of Commerce, an honour that would never have happened but for my amazing mentor, Corey Rudl. I lost touch with IMC after Corey’s sad death which was a great loss to the IM world. 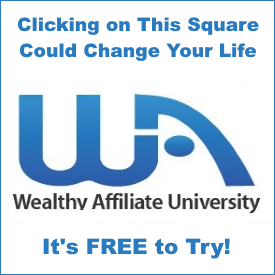 I’ve not come across Wealthy Affiliate before so I shall take a closer look out of interest. Thank you for pointing me in that direction Daniel. LOL, wow! I just signed up as an affiliate for them and when my links wouldn’t work and the phone number is disconnected and the support email was not working, I found this post. Too bad I bought URL’s for their products. So you tried to do this before you found my article? I’m hoping my article didn’t lead you to purchasing those domains. Yeah, they left the scene, I think, 2008 or 2009. I got one of the last printed version of their course before they went to digital download. This was essentially the first sign of trouble that this great product was on the wane. 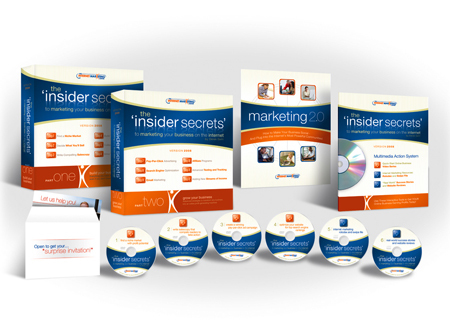 I have the insider’s secrets course, but what other course are you talking about? To learn more about Wealthy Affiliate, which is more than just a course, I have written more about it in just the last week or so. I have two new articles on it, both of which link back to my Wealthy Affiliate review. These should help you out. The one article is more of an overview on the philosophy of Wealthy Affiliate, and the other is a detailed run-down on one of the main features found on the platform. The review itself is of course, a general overview of the platform, but currently needs to be updated. Since the review was written, new features added to the platform. I bought their package some time ago, haven’t done anything for ages, now find out they are gone! Any ideas if I can get the old site up and running through someone else?? Sorry about your link, but I had to disable that for everyone to control the comment spams. I would take the field out altogether but it causes issues, so best to do a work-around. For the time that IMC was around, there were two outstanding places to learn online marketing – IMC and SiteSell (which I believe still exists.) Wealthy Affiliate is the King of the Hill now having gone WAY beyond both of these. It not only teaches you how to build a campaign and everything you need for an online business that suits you, the support is fantastic. Unlike the IMC, Wealthy Affiliate has a large community within and interactivity is highly encouraged. Check my review on Wealthy Affiliate and see for yourself right here on this website. WA has a free starter account that showcases the community and the platform. Give it a shot. Do the lessons and if you like it, join the Premium membership. It’s awesome! It’s much more affordable than IMC was. IMC was great for its time, but WA has gone way beyond, as have a few others. Thanks for posting and appreciate your interest! Thank you for posting this! I used to work at IMC when you could count the staff on one hand. I stayed there for quite a few years before I was laid off, I’d moved departments from CS to IT and with my lack of experience and the fact that I truly hated working in IT and wasn’t quiet about it, I got laid off. That said, while I didn’t really get along with Corey, I always respected him and his business decisions. He was smart, shrewd and was a good face behind the company. The interesting fact was that he stepped down and handed the majority of the reigns to Derek before the accident, he remained on as “the face” primarily because of how recognizable he was through the “gurus”. It says a lot that the company lasted as long as it did, though. When the dot com bubble burst in the early 2000s, I was sure the company would fold and I’d be out of a job. I think the fact that IMC never went public is the main reason it was able to stay solid for so long. Corey answered to no one, and I think that was his success. An interesting bit of trivia that you may know, Corey’s love of cars is what got him into the business. His first product, that enticed him into marketing on the Internet, was called Car Secrets Revealed. He was very proud of making that successful, and the process behind it was the inspiration to the IMC many knew and loved. I wish he was still around, it would be interesting to see what he would have accomplished in this day and age. His funeral was really sad, he was so young and had a lot more to offer. Alas, there are no do-overs in death. I want to thank you for your contribution to my blog post about IMC! What happened that made IMC finally fold up? That it made it through the Dot Com Crash and beyond is astounding. I take it something was seriously missing in the end. I know something was up when the company stopped doing the printed courses. I have the last edition. I was able to get it at half-price if I were to purchase the updated course, which, to my disappointment, was completely digital. When the company went down, I lost my access to it. I only wish now I had gotten everything downloaded, but I didn’t , and today, it would be dated material anyway. It’s colossal someone like yourself, who actually worked there, found my blog post and I really appreciate your adding to it. Today, it’s Wealthy Affiliate. I’m a proud member there and like IMC, if it were to fold up, it would be a huge loss to the online business world that knows about it. Did IMC try to get too big after the accident? I have a strong feeling that, if Corey didn’t have that accident, IMC would still be here with us today. At Wealthy Affiliate, I strongly believe that its continuance is very contingent on Kyle & Carson (owners and founders) remaining onboard. This is true of all empires. Corey had things tweaked very well there. It’s a shame you and him didn’t get along. IMC, if it still existed, might have given Wealthy Affiliate a run for its money. Albeit, the one thing that puts it at the top is the owners paying it forward, no upsells and its members’ love for the community. How everything folded is a tough question that I don’t have the answer to. When I left, it was in 2003 and the company had made its final move to a larger, sprawling location in Vancouver and things seemed to be expanding… almost to a fault. The move and hirings for certain high-positioned people created challenges and struggles that most casual small-starting businesses have when they start to grow significantly, and you could see the problems starting to grow by that point. That said, the company clearly was able to succeed going forward. When I attended Corey’s funeral in 2005, I barely recognized a fraction of the people that had been hired in the 2 years I’d been away. By the time my kids were born and I went to visit the office, they had taken over another floor and the sales staff had increased by an insane degree. Corey had stepped down long before that, and while his stepping down coincided with the company drastically updating and changing directions, I think it also turned the company into a bit of a mess, going 50 different directions and mastering none. Clearly the course being what it was, and the name being what it was, kept enough life blood to keep things flowing for quite a few years, but Derek was not Corey. He didn’t have the charisma, energy and that special something that Corey exuded, I mean REALLY exuded. Love him or hate him, he had a special something that made IMC the juggernaut it was. I think, beyond the severe fragmenting, the biggest failing within the company was the software. Mailloop, the eBook reader and some of the other minor products were programmed by a group of 2 people, and a very small QA team beyond that. The expectations were sky high, and the time/budget/skill levels weren’t able to match what was needed for software that complex. Mailloop alone was also vehemently despised by ISPs and many that had to be on the receiving end of the software. It was kludgy and most often simply didn’t work. The eBook software… well that was just a mess of DRM garbage that I still have nightmares about to this day! Trying to troubleshoot/QA/help with was a disaster and it made something that should have been simple into a complicated mess. I still believed in Corey and the course. It had some seriously amazing parts to it, and I believe it really did help people succeed. If you look at the web from the late 90s until just a few years ago, you could see Corey’s style almost everywhere trying to sell people on a product. Things like the “You only have another 24 hours to buy, so buy now!” trick where the counter simply reset after that time period was up, long broken pages with bolded sections emphasizing a point, centered and sometimes in an odd place, endless “me” statements that make the customer relate to the PERSON selling versus the company and the 7s, ALWAYS the 7s! Corey was a stickler to that from his first book, and carried his pricing beliefs with him everywhere he went. Of course, I never bought into that, as 7s always scream “Wal Mart” or “Clearance Bin” but clearly it worked. The interesting thing is that when I started at the company, I was quite young and very enthusiastic. I was hesitant to take the job when I found out that the bulk mailing software and marketing course were their main products, but who was I kidding – I was barely out of my teens and in desperate need of a job. The years following that, however, broke me a lot as a person. I saw poor decisions leading to more poor decisions and my concerns be simply ignored. I was by no means a brilliant person who had all the right answers, and I myself made a massive slew of mistakes throughout my career there that I have no one but myself to blame, but even with that I could see the many cracks and felt myself get slowly more and more disillusioned with the entire operation, reinforcing my feelings from the day I went in to take the job. Simply put, I was the wrong person to be there, and getting laid off was probably one of the better things to happen to me. I don’t regret my job there, and in some ways wish I could have taken a different path within the company, going from customer service to being an IT guy with no training simply didn’t work for me, but alas hindsight is 20/20 and no one can go back in time! I met some amazing people through the company, and feel very privileged that I was one of the original employees when IMC still had the offices out of a Vancouver apartment complex. Hell, I even got to meet Arnie when he was filming “The 6th Day” (a few of the scenes were in the same complex) so that’s something! IMC came in with a bang, and went out with a whimper. Sorry I’ve not gotten back to you promptly. 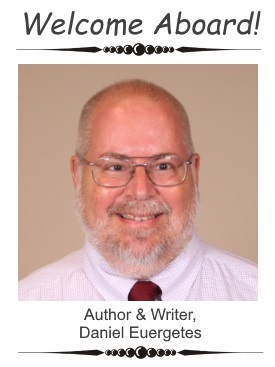 I’m in the midst of some big-time changes in my life and, at this time, can’t give proper attention to my website. After the changes are in effect, I should be able to more adequately do my online work. I’m intently backing up everything that I have in my physical files as the physical originals need to be eliminated. It occurs to me that, Corey stepping down was the demise, as you have indicated above. They became more aggressive with their marketing campaigns, as I have noted in my Journal. Whilst I can’t locate the file in my Journal (I have never built an index for it) it was an imposing e-mail broadcast from them that much more closely resembled an e-mail you’d get from a dastardly marketer. It was something about going fishing (for human prospects) very similar to what you find in Robert Allen’s Multiple Streams of Income. Whilst I’m not against many of the marketing concepts found in this book, treating prospective customers as you would hook fish using bait isn’t one of them, and it occurs to me this e-mail drew upon this concept. I didn’t like it and responded with an e-mail back. In 2007, the e-mail broadcasts from IMC definitely became more more aggressive, promising very large windfalls of money for those who purchase the course. Wealthy Affiliate, the community I’m a member of, does not employ this kind of marketing hype, and what makes it so great is that, not only does it not include stuff like this in its campaigns, it teaches against it and encourages members not to resort to such measures. Rather, we implore folks to give the community a try and do so by building real relationships, one at a time, to gain our audiences and gain their trust. Wealthy Affiliate’s philosophy is “pay it forward.” The very best companies do this and, at one time in IMC’s history, this was also the case. It did take time for things to turn around there, and since it became like “everybody else,” it fell into those ranks in its entirety and like the greatest of empires, it fell. I strongly believe Corey would have turned in his grave if he could see what was done to the Internet Marketing Center after his passing, and the damage really began to happen after his death. He still had his hand in it even after he stepped down. When this happened, the IMC was doomed. Corey Rudl was the man! I bought an emblem for my car from him. He was very active in owner communities for exotic cars in the 90’s. He saw a niche and filled it. He sold replacement emblems at reasonable prices (dealerships charge a fortune). I bought a set of shields for my car, and got to speaking with him. I believe he turned that business over to his parents when Marketing Tips took off. I met him at Ferrari Meets later on. I eventually got the big binder program, it took my business to a whole new level. Corey was a “Guru” for sure, but he was also a decent person. He loved life, and he brought that “special something” to whatever he took part in. He was a special guy. He may have done things that today would be considered SPAMMY, black hat, etc., but he was a pioneer, and he was paving the way. When he did those things they weren’t considered bad form. He innovated and was amazingly successful. I still wonder every once in awhile what he would have done int his day and age. He may have created AdSense before Google. He was that forward thinking. Who knows what the Internet landscape would look like today if he were still with us? I’ll remember him for his track days and love of cars, more than for his IM. He was an amazing guy. Glad to see some sites out there still keep his name relevant. He deserves that. There are many companies out there today that probably wouldn’t exist had it not been for Corey Rudl. He literally began IM when the Internet became the WWW. He is the father of IM. I worked there for three years. I was astounded at how cynical the place was. The mentor program was a sham. They’d hire people off the streets for $29,000 a year to be an “experienced internet business professional.” Nobody was an experienced professional, or they wouldn’t be working for peanuts at the IMC. None that I know of ever produced their own profitable website. (Those who can’t do, teach.) But there was no shortage of people paying $8000 to take the mentoring course. I’m not sure when you worked at the place, but was it after Corey Rudl? From stories I’ve been hearing, some of which are on here as well, since Mr. Derek took charge, it went to pieces. Not sure if they had a mentor program prior to Rudl’s death, but during those days, it was a tight ship and that which was to follow was the demise of the company. Some of what you are saying is similar to what another person who had been there said in this thread. As for the Mentor program, I was flatly turned down because I didn’t have the funds. From what you’ve said, it’s a good thing. What I’ve said above in the main article definitely refers to a time when it was having its best days. I believe my copy of the Course was the 2007 edition. It was that before it went digital and had to be downloaded. The printed course was offered at half-price with the newer digital one, and at the time, I didn’t see much difference between the editions. Now it’s all dated and I’ve gotten rid of my edition, but at the time (2004) I really aspired to have that course. Corey Rudl was highly respected and had he not been killed in the automobile accident, I have very much to believe that the IMC company would not have met its fate. Again, I don’t know how long ago you worked for this company and if it was during the reign of Rudl, it’s a shock to me. The original course was pretty good, I paid 350 bucks AU for it, got the 2 binders (it could have been one binder, the print was pretty big). At the time I had spent a small fortune on the Rich Dad poor dad Robert Kiyosaki seminars, and the “advisors.” We were invited to suit up and work, selling the books and ushering for “free” at other events in Brisbane on the Gold Coast. I lived in Surfers, the scam town of Australia, at the time, broke but happy. It all helped, but it was a massive waste spending $3500 on the rich dad seminar, especially since that was pretty much all we had … and I mean we … 2 paid one went. I met Corey at his information night intro seminar that he did. It was packed. I said, “Well a lot of people really love your product,” He remarked, “Well its a waste of time for me to even come here and do this.” He was kind of pissed. He explained that his business was making him close to $500 bucks per hour, every hour he was awake or sleeping. A speech in a hall full of people is not that much compared to the stage of the internet and who was out there reading. His time had finally become valuable – not like me, working whatever job I could to make ends meet another week, dress in a cheap, ill-fitting suit, without a clue at the time. I think he had no idea how precious his time really was, and how he was going to get a lot less out of it than most people. If I were as ruthless as him, I would have ordered the course, copied it, and then sent it back the same week, and gotten my money back. I see a lot of cheap clones on the net using his techniques. I was looking into Aquaponics and other self sufficiency systems, and came across one called “backyard Innovator” which is a classic copy. It does the 3 no’s and then finally rips you off for just the right amount. the “innovation” from the fake doctor they sell is just that – a couple of rednecks in the back yard putting together a makeshift “complete system” out of junk, and then putting the kids’ pets into small cages as “food animals.” You can tell once they finished, they pulled it apart, probably as the water turned green and putrid. I just laughed to myself and hoped they enjoyed the case of beer my purchase bought them, and the kids got their pet rabbit and poultry back unharmed! I don’t have the codes [anymore] and threw out the folders when moving years ago. Now that we are heading into some serious world-wide economic insanity, it is becoming very apparent, how ruthless some people are getting. I see that most of the world’s knowledge-base, in the near future, will be basically free and open source. Everyone is tracked on the net, even those using ghost IP addresses, by most modern big business websites, especially with the modern mobile device. Recently a chap was murdered out in the country, and no one had any normal leads on this. The cops went and checked phone and wireless internet access in the area (being remote farmland,) to see if anyone pinged from that location at about the estimated time of death, This resulted in the arrest of a man because the internet access from his phone at the site of the murder and estimated time of death made him the obvious culprit. He was busted by his own Apps. It would have been interesting to see how Corey would have reinvented himself when his business began to fall (something I have learnt during the interim that, some businesses can endure as short as only months, to get in and out of,) most businesses have a ticking clock. We are about to witness an every larger change, as the 3rd world countries that imported so many peoples’ jobs from the Western world 20 years ago, are now being 85% completely automated, replacing the 3rd world worker! The whole world is heading towards a point where only 10-15% of the population will be needed to perform work that robotics and automation plants can’t do. We are entering some interesting times – and interesting times challenge morality. We are in for a show. It’s been great to read the other stories. I hope you don’t mind, but I did a little editing to your comment to break it up some and make it easier to read. I have kept the same meaning throughout your story, so I hope you find its integrity is as you intended. Sadly The successor to Corey Rudl did some serious injustices to the IMC, trying to do things in it I don’t think Mr. Rudl would have approved. This is just another example of greed and how that has killed yet another great business that was loved by many. So far, nothing like this has ever happened to Wealthy Affiliate. The same concept and philosophy upon which it was founded still persists today. The concept of paying it forward has been, and still is taught. Employment makes a good alternative to earning income when just starting out, when that is the only thing, but it should not be relied upon. Most people that live and work their lives around employment eventually get bitten by it. It is one of the sources of ruined lives when the income switch is suddenly, and without warning, shut off. I have become homeless in the past, several times because of suddenly not being needed anymore. It happens with no regard to whether you have a family or not to take care of. You lose your home and your dignity. The age of dependable employment is long gone, and it has been made much worse because of dubious foreign policies and relations. Here in the West, things are beginning to look promising on this regard as our new President is working on reducing the foreign Chinese imports and the easement at which companies from here go over there to employ cheaper labour. 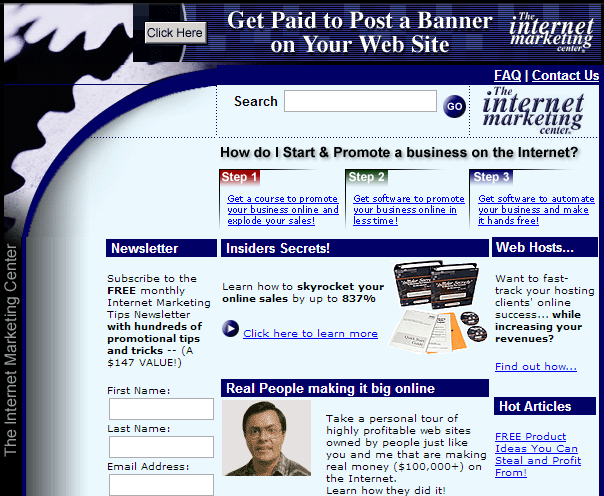 The early Internet Marketing Center was once the hallmark of it all within that industry. Wealthy Affiliate now holds the title and is the notable opportunity in the way of high quality education at reasonable cost. I enjoyed your story and the things you brought up. Thanks for commenting here today! Just came across a 5 disc set of IMC Internet Marketing Course. Derek was the head of the company. This was probably sometime in 2008. Don’t think I ever used the information and I have been out of Internet Marketing for 7-8 years now. Discs headed for the dust bin. All of the above about IMC was very interesting. Thanks for your effort in presenting this information. For the time, the discs had valid information on them, much of which is now dated today. As of that time, the course had not been affected by the internal turmoil that was going on within the company itself. It essentially fell apart from the inside out. Its ideals changed in spite of some of the improvements applied to the infrastructure of the business and renewed but equally destructive views on the customer base brought the company to its knees from which it never recovered. The discs you had were best placed in the rubbish bin at that point.